VegasBerry Casino will then reward you with a bonus (Welcome Bonus is for new players only). 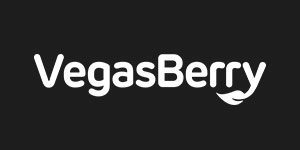 The terms and conditions of the bonuses vary between different casinos and might also change over time and between different countries, so it is important to compare the different offers and read the T&C for VegasBerry Casino before signing up. Vegas Berry has been around since 2014. Owned and operated by Mountberg Limited, a company based in Cyprus, this online casino has been authorised and regulated by the Government of Curacao, which means that they comply with all the regulations. So, players can expect a fair play here. Vegas Berry Casino is a very well-designed online casino, with a modern, clean look to it. The site is also pretty straightforward, with homepage featuring all of the games available at this venue. You can browse through easily, because the casino has provided different filters to narrow down your search. And there is also a very helpful search bar that allows you to find your favourite or new games fast. In addition to being user-friendly, the site is also provided in 7 different languages which means players around the globe are all welcome. There is a great line up of software providing companies that have ensured that Vegas Berry is fitted with over 1000 juicy games on offer to online casino players. Among the 13 software developers there are the gaming industry leaders, such as NetEnt, Microgaming, Betsoft and Evolution Gaming. The rich game library features video slots, table games, live casino games, video poker other games and jackpots. You can also create your own category with all your favourites by simply clicking on the heart icon next to the game’s name. As we mentioned previously, there is an abundance of slots to enjoy here. Due to the huge amount of exciting online slot games with all sorts of fun themes you will never experience a dull moment ever again. You will be able to find classics such as Starburst, Twin Spin, branded titles Jurassic Park, Pinocchio, as well as seasonal slots Happy Holidays, Flowers Xmas, and many more. And if you are interested in more fruitful wins, progressive jackpots like Mega Moolah, Major Millions, King Cashalot and other will be at your disposal. If you are not in the mood for slots, you can try out the opulent selection of table games at Vegas Berry casino. In their table games section there are many different versions of standard casino games like Baccarat, Blackjack, Poker, Craps, Roulette and Pai Gow. For instance, whether you prefer single deck or multihand Blackjack, American, European, French, Vegas Strip, Pontoon, Pirate 21 or Hi-Lo, you will have plenty to choose from. Some of the available types of poker are Caribbean Stud Poker, Oasis Poker, Ride’m Poker, Poker3 Heads Up Hold’em. As for the speciality games, the selection includes lottery style games like Keno and Bingo, Scratch Card games, Arcade type games and Virtual games like Premier Trotting, Virtual Rugby, Virtual Soccer, Virtual Touchdown, Virtual World Cup and many more. There’s also a selection of video pokers for players who prefer betting with cards. Some of them include Jacks or Better, Deuces and Joker, Deuces Wild, Tens or Better, Joker Poker, Double Joker Poker, Pyramid Joker Poker, and Split Way Royal. The live casino games have been provided by both NetEnt and Evolution Gaming so you can expect them to be of the highest quality. If you want to take table action to a more realistic level visit the live gaming lobby. You will be able to join Live Roulette, Live Blackjack, Live Baccarat, Live Casino Hold’em, as well as Live Football Studio. Payments are possible with many different methods that are all displayed neatly on the site. Most of these methods can be used to both to deposit money and withdraw your winnings too. The list of banking options covers credit cards such as Visa and MasterCard, eWallets such as Neteller, Skrill and Qiwi Wallet, prepaid cards iDeal, Dotpay, Giropay, Trustpay, Webmoney, and Zimpler, online banking methods such as MultiBanco, Sofort Uberweisung, as well as bank transfers. With Neteller and Skrill, withdrawal time is instant after the approval and with Visa and MasterCard it takes 3-5 business days while bank transfers withdrawal timeframe varies depending on the bank you chose. The minimum amount you need to start with is €20 or €10 if you deposit with Zimpler, while the minimum amount you can withdraw is €30. The casino comes with a weekly maximum limit of €2,000 and a monthly limit of €5,000. When it comes to customer support at Vegas Berry, there is an well-stocked Frequently Asked Questions (FAQ) section that provides all the required information related to account, deposits, withdrawals, bonus offers, and so on. If you still need further assistance, you can contact the support staff via live chat which is available 24/7, or send them an email to [email protected] and they will try to answer you in the least possible time.